Susan Signe Morrison writes on topics lurking in the margins of history, ranging from recently uncovered diaries of a teenaged girl in World War II to medieval women pilgrims, excrement in the Middle Ages, and waste. 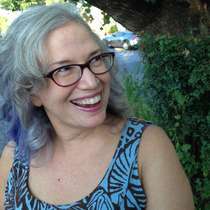 Susan is Professor of English at Texas State University. Susan as snapped by her teenage son. 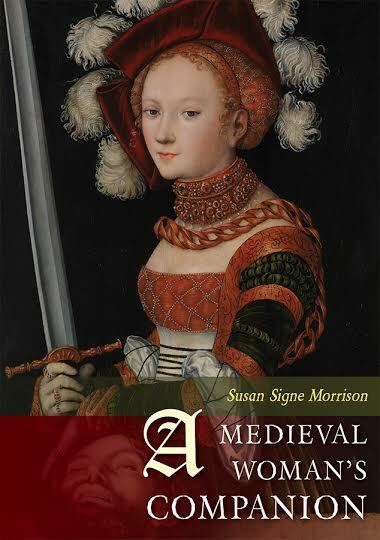 Susan’s book on medieval women has been listed as a Finalist for the 2016 Foreword INDIES Book of the Year Award in 3 categories: Adult Nonfiction; Women’s Studies; and Young Adult Nonfiction. Her first novel, Grendel’s Mother: The Saga of the Wyrd-Wife, a feminist reinterpretation of the Old English classic poem, Beowulf, is the the Winner of the Words on Wings Book Award for young adult fiction, a Literary Classics Top Honors Award 2016. It was also a Finalist for both the 2014-15 Sarton Literary Award for Historical Fiction and Foreward Reviews‘ 2015 Indiefab Book of the Year Award: Historical (Adult Fiction). It has also been awarded the Seal of Approval from Literary Classics. Telling the story from the point of view of the women, Susan grew up in New Jersey by the Great Swamp, a National Wildlife Refuge in New Jersey with terrain not unlike that of Grendel’s Mother’s mere in Beowulf. 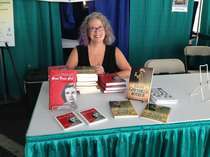 Susan signing books at the Texas Book Festival. Committed to bringing the lives of medieval women to a wider audience and making the ethics of waste fundamental to our study of literature, Susan can be found blogging at homefrontgirldiary.com, grendelsmotherthenovel.com, and amedievalwomanscompanion.com. Susan tweets @medievalwomen. You can read more at Susan’s Amazon page and at susansignemorrison.com. “A Medieval Woman’s Companion” has been chosen as a finalist in 3 categories. Delighted “Grendel’s Mother” was a finalist!